Andy Bean is an American composer and songwriter who has been working in the cartoon industry since the mid-2010s. He is known for his contributions to the shows Wander over Yonder and Puppy Dog Pals. Keith Horn is an American composer who has been involved in the television industry since the early-2010s. He is best known for his work on the shows Jake and the Never Land Pirates and Descendants: Wicked World. 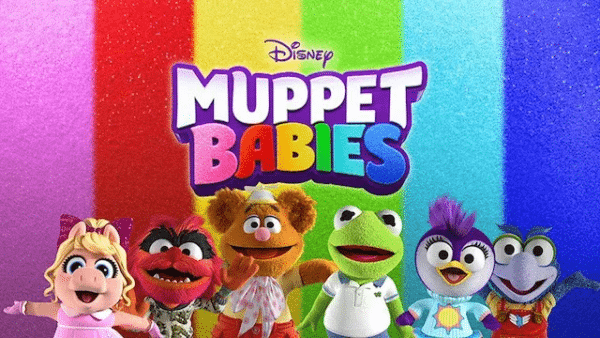 I’ll start off by asking a dumb question: were you fans of the original Muppet Babies, and if so, did you go back and revisit the soundtrack from that show? Or did you abstain because you wanted to be completely original? 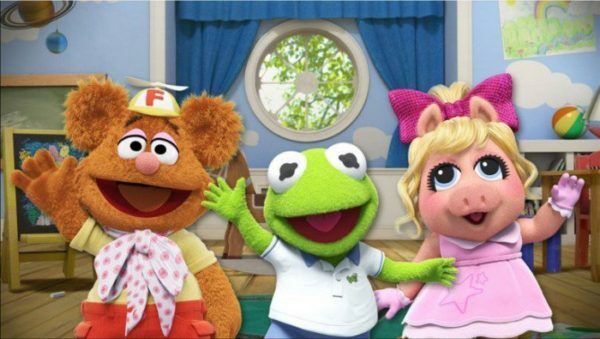 Andy – I was of the age when Muppet Babies came up, so I saw all the episodes. That said, I had to refresh myself on the basic premise of the show when they started making the reboot. But it was definitely all there, it was all familiar. You know, as an 8 year-old or 7 year-old watching it I don’t ever remember thinking “hey, I wonder who’s writing the songs,” but as an adult I went back and looked at what Alan O’Day and Janis Liebhart had done and was really impressed by the variety, breath, and sheer volume of the work they did on the show. That’s one of the toughest things about writing songs for cartoons, just writing so many of them. But that said, I tried not to watch too many of the old Muppet Babies episodes when I first got this gig, because I didn’t want to be copying what they did song-wise. And I wanted to make sure that I was following the creative vision of the team that was making this new one. Andy- Oh I didn’t know he did G.I. Joe. That’s great! Keith- Yeah, he did a bunch of those cartoons. And he was really prolific. I still use the Muppet Babies theme, obviously in the show, but also in the score. It’s amazing that you were not only big fans of the show, but also have a strong love for the music as well. Now, one thing I have to really praise you gentlemen for is the level of musical variety in the Muppet Babies reboot soundtrack. For example, “Super Fabulous” has a bit of a disco feel while “The Lily Pad Blues” obviously has a blues influence. I’m curious, what were your intentions behind having this diversity in the genres? Do you want kids to be exposed to multiple musical styles, or was it something you just wanted to do from the beginning for your own creative purposes? Andy – It’s two-fold. A lot of the genre choices are sort of determined by the episodes. For example, that disco song you mentioned, in the episode that it’s in Piggy is playing a 70s superhero ala Wonder Woman, so it made sense to do something like that. In another episode they’re pirates, so I did a pirate shanty. And in another they’re pretending to be a rock band, and so we did a kind of hair metal thing. So a lot of those choices are made like that. For other examples, where the story doesn’t call for a specific genre, I definitely lean on the stuff that I like, and luckily for me a lot of the stuff I like is within the realm of being in the Muppet Universe of music. My tastes skew a little bit retro in a broad sense, from music from the ’20s through the ’70s and ’80s. So when I sit down to write something I draw on those influences. That’s where something like “The Lily Pad Blues” came from: it was about what I love about New Orleans music. And luckily Disney, and the guys who run the Muppet Babies show especially, have been really open to me going where the story takes me and trying out a genre that might not have been the obvious choice. 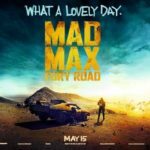 Keith – And the score is definitely dictated by whatever the episode is doing. I mean, we’ve already done 10 episodes of the series, and the characters have been to so many different locations and places. They’ve been to France, they’ve been to Italy, they’ve been pirates, they’ve been to the future, they’ve been to the Jurassic times, and the score just follows them everywhere they go. We had a whole 8-bit episode where we had to use 8-bit instruments for the entire score, so there’s a lot of variety, you’re right, in the songs as well as the score. No, I mean I really have to praise you for employing that. As you said, Mr. Bean, I also grew up with the original show and I grew up with a lot of older music. So it’s always nice to be able to introduce newer generations to older styles while still keeping it in mind with contemporary musical influences. 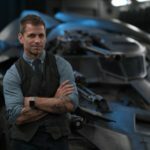 Andy – Yeah, it’s definitely not like a dogmatic approach for me where I have to be retro, or I want to push these styles on kids. It’s more like those are my influences, it’s what comes out when I sit down to write a song. Now, you mentioned how the episodes influence the music style. And one common trait I’ve noticed in the episodes is that they feature music videos, if you want to call them that. And in them, the subject is facing the camera directly, compared to in the original Muppet Babies where they were generally more in the distance doing some action. Has this been an influence on your lyrics, knowing that it’s much more like a typical pop music video? Andy – That’s a really interesting point. So the way the songwriting process worked, I wrote almost the entire season’s worth of songs before I had seen any visuals, because they happen at the scripting phase. So it’s interesting that you point that out that they usually feature performance postures for a lot of the characters. I didn’t know that they were going to do that, or didn’t even think about what it would look like when I was writing them. That’s actually one of the most satisfying things about writing songs for a cartoon is you write them, and record them, and produce them and make your final version of a song, and then you pass it over to the storyboard artist and the director, and they take the song and invent a visual world around it. And so it’s always fun for me to see that first footage and see what they’ve done to the tune I wrote. Keith – I do think [the music video format] is another way of throwing back to the live show/theater-vibe that the vaudevillian Muppet show had, where they’re on stage playing for an audience. I don’t know if that was intentional by the producers, but for me that’s another way that it reminds me of the original show. Well, it’s amazing to hear that that you created the music way beforehand and that the animators are able to craft these visually inventive videos that bring out the songs wonderfully without it feeling like it was two entirely different processes. Now, the reboot introduced a brand new character, a purple penguin called Summer. She wasn’t in the original show. Because she has no counterpart, what’s your experience been like writing music in which she has a singing part? Do you rely heavily on the showrunners or the writers to understand her character, and subsequently her performance style? Andy – One of the treats of this show was that we already had a sort of sense of what every character was going to sound like, especially singing: you know, what their role was going to be like musically. Because they’ve all been around for 50 years, we had an idea of what Kermit or Foggie or Gonzo would do. With Summer, it was more like working on a new show in that it took a couple of scripts and a couple of songs for me to figure out what the character’s strengths were, and what the voice actresses’s strengths were. Now luckily for me Jessica DiCicco, who plays Summer, is a great singer, and I’d worked with her before, and she’s got a really sweet, sincere delivery that fits the character. So she sings some really great songs over the course of the season that were some of my favorites. So to answer your question, it took a little longer than with the other characters, but I think we found her voice.